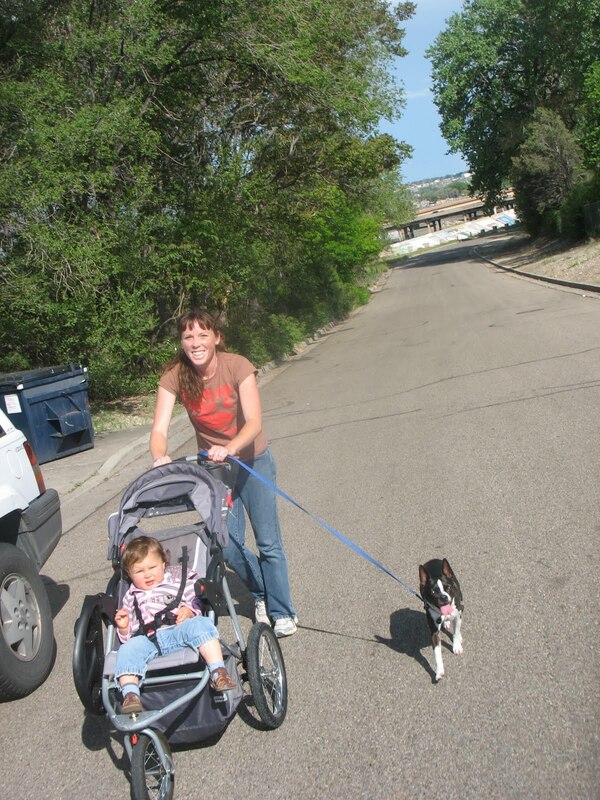 Mother, child, and hound out for a walk, enjoying the absolutely beautiful day yesterday. This was taken on Corona Ave, one of my favorite roads in town for walking or bicycling. Almost no traffic, you can stop and watch the kayakers on the Arkansas River, or enjoy views of Pikes Peak to the south.